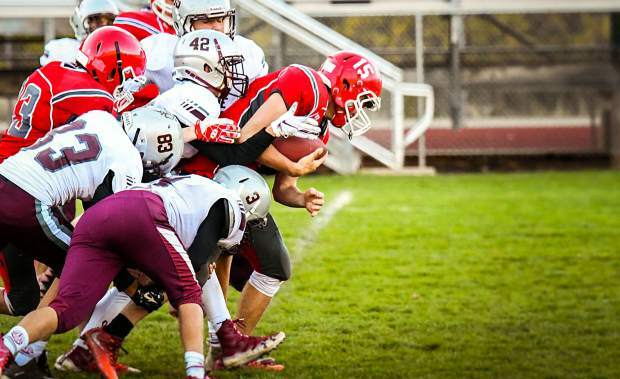 A Glenwood Springs Demon freshman football player charges through the defending Palisade Bulldogs during Monday evening's game at Stubler Memorial Field. The Demons came up just shy of a win and lost to the Bulldogs 15-14. A Glenwood Springs Demon freshman football player charges through the defending Palisade Bulldogs during Monday evening’s game at Stubler Memorial Field. The Demons came up just shy of a win and lost to the Bulldogs 15-14.